Not too long ago, Google announced Android Wear, an operating system designed to work with smartwatches. In addition, it also listed some companies who will launch smartwatches based on the operating system. LG is expected to launch its LG G Watch later this summer. The details about the smartwatch were scarce except the fact that it will come with Android Wear. Now, LG’s official website shed some light on what we could expect from the beautiful smartwatch. 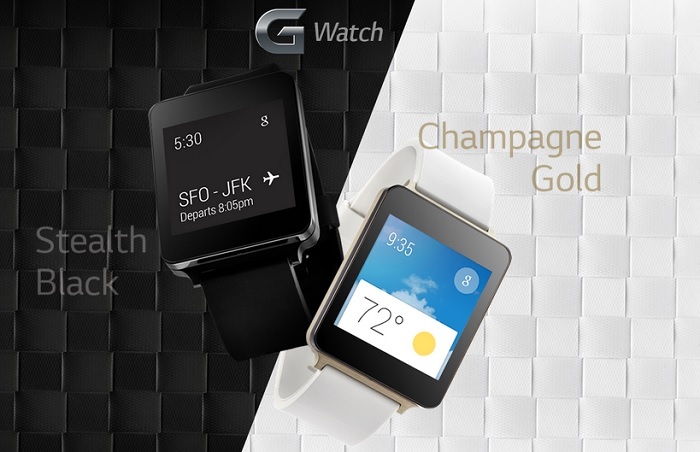 As per the official website, the new LG G Watch will hit the retail shelves in two colors: champagne gold and stealth black. The smartwatch will come with rubber straps, which might be a little awkward for those users who want a semi-formal watch. LG mentioned the device will always stay on and display time so that you don’t have to press any button, unlike Gear 2, which goes off and has to be turned on by arm movement. Additionally, the smartwatch will be dust and water-resistant, two most important features a smartwatch should have in today’s world. At the moment, there’s no exact launch date available or its price. We’ll update you as soon as more information pops up.